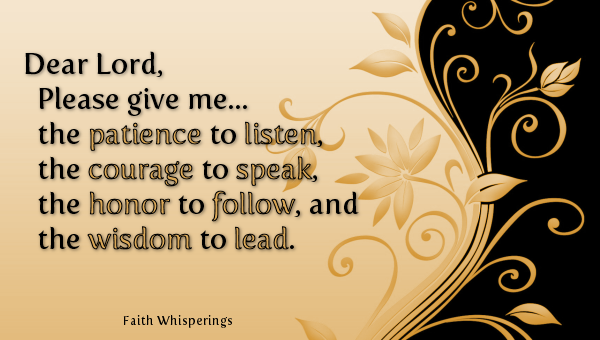 Please give me the patience to listen, the courage to speak, the honor to follow, and the wisdom to lead. It is my sincere hope that you enjoy your visit and that you will be encouraged, enlightened, and inspired in your journey of faith. Be the light in someone's life. Click on the BLINKIES menu link above to view my collection of Christian blinkies. Enter your email address to follow Faith Whisperings and receive notifications of new posts by email. Sampling of Likers, Followers, Commenters. Thank You!